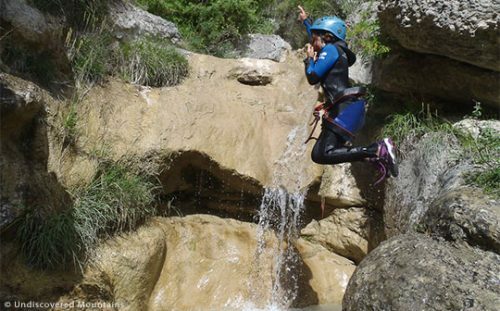 Canyoning is all about action – there is no time out once you’ve embarked on it, and that’s what makes the activity so much fun! 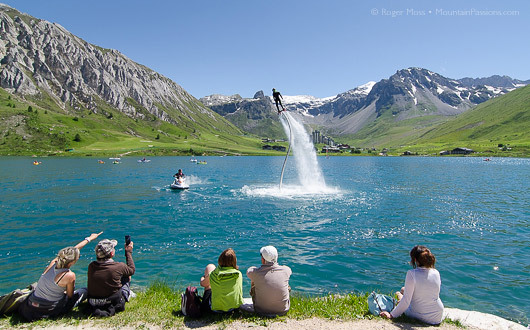 A combination of daring jumps into pools of pristine waters, abseils through roaring waterfalls, natural water toboggans to zoom down, and beautiful clear pools to wade or swim through, all in awe-inspiring scenery. As you’ve guessed, the activity’s name comes from the canyons, the narrow gorges that form after many centuries of erosion created by rivers and streams on mountainous terrains. Canyoning is run in the gorges that are too narrow, too steep and too extreme for any kind of boat or floating device to be used in them. This adds to the beauty of it. Canyoners get the privilege of seeing and feeling the otherwise inaccessible, natural treasures of the mountains! Generally you walk in to the top of the canyon equipped with wetsuits, helmets harnesses and safety equipment and then embark on negotiating your way down it. Sometimes the rock will form a natural toboggan and you can just sit yourself at the top and let the water wash you down the naturally carved rock-slide and splosh you into a pool of cool alpine water. For steeper waterfalls you can abseil down through the gushing water – kind of like a water massage of varying strengths! In some instances a daring jump into the inviting pool below is what is required. 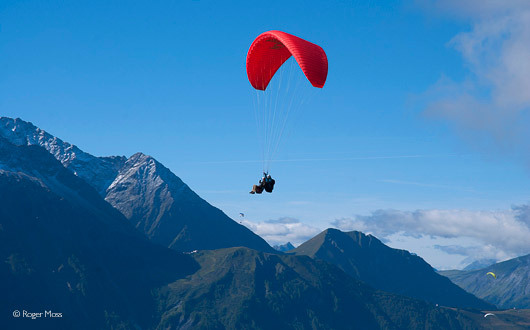 These can vary in height with some extreme canyons requiring canyoners to jump 12 or 15 metres! There will often be some walking or swimming through beautiful clear blue pools nestled in the heart of the canyon where you have time to appreciate your surroundings and remark on the unique wildlife and flora of the canyon. 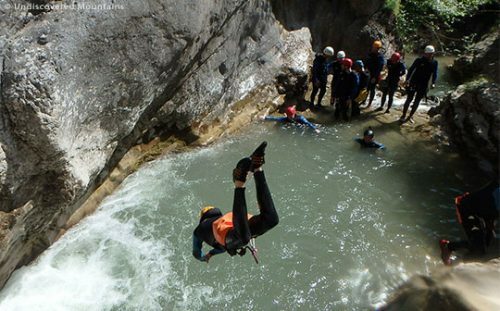 Canyoning may sound like an extreme activity that only the most adventurous among us would dare trying. And there are definitely canyons that fit that description with high levels of risk suitable for only the most experienced and fearless canyoners. Suffice to say, you need to know the canyon you are going to do and know what you are doing before setting off if you are planning on canyoning independently. However, there are lots and lots of canyons that are accessible to beginners, intermediate canyoners and even younger children where you can go with a guide and have lots of fun, fun and more fun! The pre-requisite for canyoning is that you need to be able to swim (some canyons require more swimming ability than others), be happy putting your head under water, be okay with heights and, above all, have a positive attitude and an adventurous spirit. 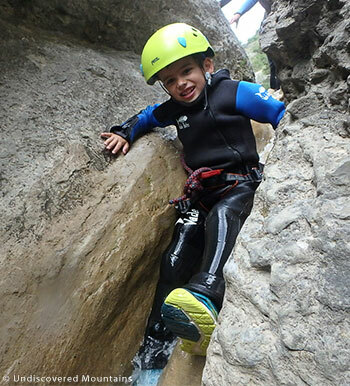 If you are canyoning with children, check the guideline age limits with the guide or company you are using for the canyons and choose an appropriate one. Why not try canyoning as part of a summer activity holiday with Undiscovered Mountains or ask them to tailor make you a canyoning trip. Where you have mountains, you will usually have canyons! However some landscapes have canyons better suited to the activity of canyoning than others and there are certain rock types and topographies that are more likely to form good toboggans or a series of waterfalls as the water erodes them. Every canyon is unique! 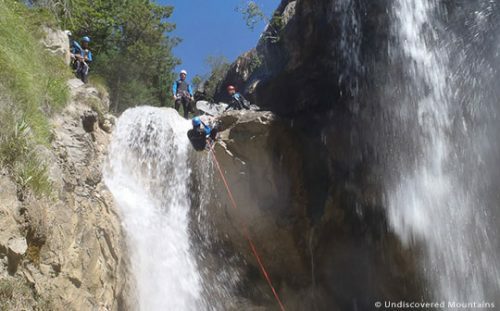 To give you an example of the variety you can find in one mountain range, in the Southern French Alps there is La Blache canyon which is a series of big powerful waterfalls guaranteed to challenge your head for heights! For younger children aged 6 to 10 the Devil’s Cauldron canyon is perfect. It is a mini canyon with a variety of small jumps, short abseils, and pretty rock pools to navigate down. 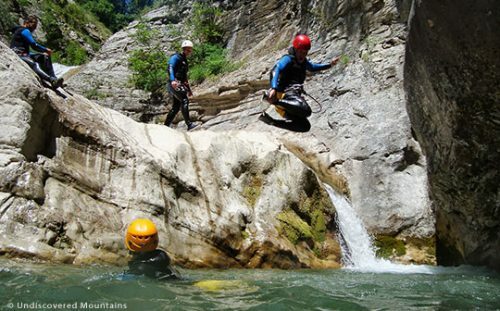 For older kids, teenagers and adults wanting a fun adventure with some great toboggans, jumps and a big challenging waterfall the Rabou canyon fits the bill. And a little bit more technical and with a reputation for chilly water is the Rouannette canyon with higher precision jumps, some challenging abseils and fun toboggans – a perfect intermediate canyoning challenge! 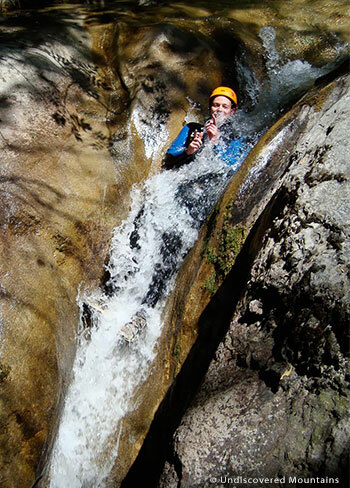 Canyoning is an activity that has a lot of potential hazards, which differ depending on the type and level of canyon. Some of the serious hazards include being pulled into an underwater siphon, getting stuck in the washer at the bottom of a waterfall or jumping into a too shallow pool. There are also natural hazards like unexpected fallen trees or rising water levels and flash floods that can take you by surprise and pose a serious danger. Most canyons are also located in remote places, which aren’t easily accessible for the emergency services in case an accident happens. It is also very likely that your phone won’t have signal in these places even if you have a waterproof container to carry it in. 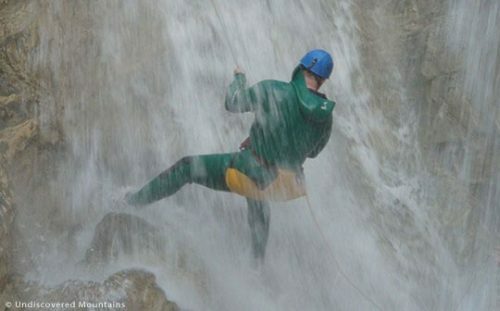 For all these reasons, unless you are very experienced, we can only recommend that you use a local guide or company such as Undiscovered Mountains when canyoning.They will know the canyons and choose the ones that pose the least risk for commercial canyoning. They will reccy them regularly and also know the local hazards regarding water levels to be able to make an informed decision as to when and when not to embark on a canyoning trip. They will also have put in place protection for the abseils and other ropework where required. They will have a radio as well as mobile phone and first aid kit in their equipment and will know what to do in the case of an accident. 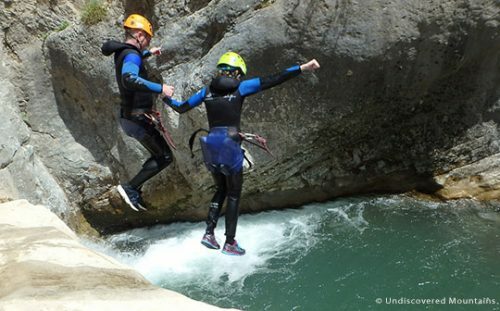 Canyoning is a fantastic activity and great fun to do as a family or with a group of friends but it is important not to take unnecessary risks and do it with a qualified professional who knows the local canyons. Sally is the owner and director of Undiscovered Mountains and has over 10 years experience specialising in multi activity and adventure holidays. 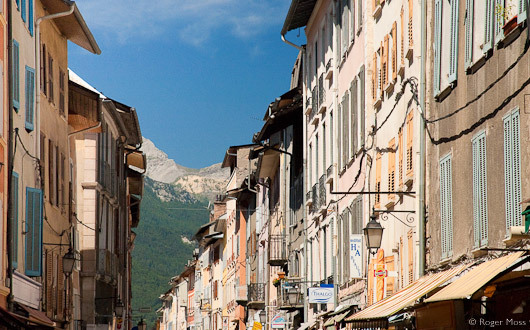 Undiscovered Mountains will take you off the beaten track to lesser known mountains like the undiscovered parts of the Southern French Alps. 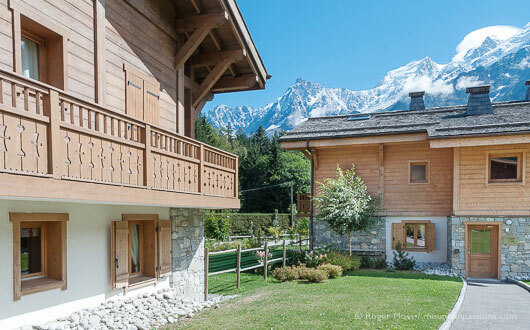 Their most popular holidays are summer and winter multi-activity holidays which use a system of activity points to give you a fully flexible tailor made adventure in the mountains! There is also a range of sport specific holidays like mountaineering, walking, kayaking, ski touring, snowshoeing and ice climbing as well as more unusual holidays like wolf tracking. If you are canyoning with a company they will provde the specialist equipment required and all you will need to take with you is a good pair of trainers that will get wet, your swim suit and a towel for afterwards. Some people find swimming goggles useful, especially contact lense wearers, but these do often fall off when you jump in. It is important to have the right trainers. Converse or fashion trainers do not have enough grip to stop you slipping on the rocks and neoprene boat shoes or sandals don’t offer enough protection to your foot from rocks. The best is an old pair of running or cross training trainers that still have decent grip and a bit of padding on your foot. Sometimes, you will be provided with neoprene socks that offer a little bit of extra padding and warmth for feet! To allow for this – best not to use the kids’ last year’s too small trainers! The specialist equipment provided by your canyoning company will include thick neoprene wetsuits with hoods and sometimes neoprene socks, a harness with plastic skirt and helmet. Some canyons also require lifejackets and neoprene gloves. The guide will have a range of ropes and other safety equipment to secure your journey down the canyon. Although the activity is generally run from June to September in the northern hemisphere, each canyon has its own season. 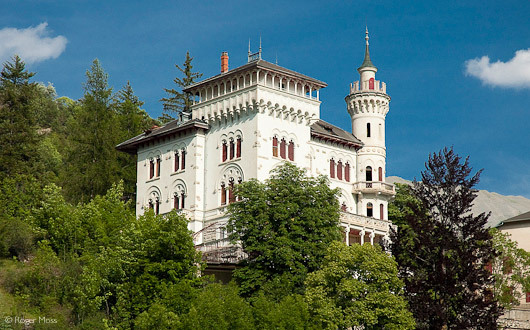 Some of them, with too much water flowing down from the melting snow on the surrounding mountains, are just too dangerous for safe practice in the spring months and won’t become available before July. Some others, with lower levels of water, will be perfect in May and June but water levels will be too low in July and August. As a consequence, we recommend that wherever you go canyoning, you talk to local guides beforehand and get the necessary information on the different sites. The sport of winter canyoning has also started to become popular. The colder conditions obviously require different specialist equipment and the adventure factor for the same canyon in summer will augment!